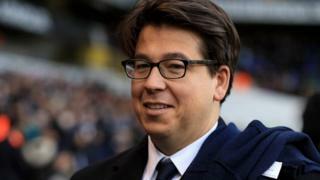 Comedian Michael McIntyre has said he is "OK" after he was mugged by two men on a moped in London, laughing off the incident at his Dublin show.He said it was "touch and go" whether he would perform after he was targeted near his children's school on Monday.He joked: "They say time is the healer. I have lost my watch, how is time going to healThe 42-year-old also thanked his "amazingly supportive" fans.Two men smashed McIntyre's car windows with a hammer before taking his watch and fleeing at about 14:00 BST on Monday. Recalling the mugging at the sold-out 3Arena in Dublin on Thursday evening, McIntyre said: "It was not so much the fast and the furious as stationary and panicking. I could not get it [his car] started. "It was fight or flight. "He confirmed his valuable Rolex was stolen and said if he had worn a cheaper watch it would not have been taken. "It was touch and go whether I came here. It is my favourite gig, it is my favourite arena," he said.McIntyre admitted it had not been a great week, but said: "I am OK, we are OK."I could have done with you, 9,000 Dubliners. "He added: "Unfortunately I had to fend for myself and it did not go well." McIntyre's performance was his first Irish show in his current world tour.The stand-up comedian also hosts Saturday night entertainment series Michael McIntyre's Big Show.His UK tour in 2012, during which he played to over 700,000 people in 71 venues including 10 nights at London's O2 arena, reportedly earned the comic ?21m.McIntyre has also been a judge on Britain's Got Talent and has appeared on numerous quiz panel shows. » How can we stay safe against the rise of moped crime?